We have a strong focus on corporate interiors & institutional businesses, such as schools, building for nonprofits, and other work in this style; and we specialize in architectural project management. We also work with new construction, remodeling, and renovations. Whatever your next projects, count on us to handle all the details for you. NEWARK METAMETRICS provides project management solutions for new construction, interior renovation, and much more throughout New York and New Jersey. We handle office interiors in older buildings, coordinate project teams, and hire the labor on behalf of our clients, including engineers, architects, technology professionals, and any necessary consultants. From assembling and managing the team to designing and building your project, to ensuring your project is properly documented, NEWARK METAMETRICS is in your corner. Trust us to supervise the bidding process for contractors and ensure construction goes according to plan, budget, and timeline. Investment Brokers — Client Name Withheld by Request. 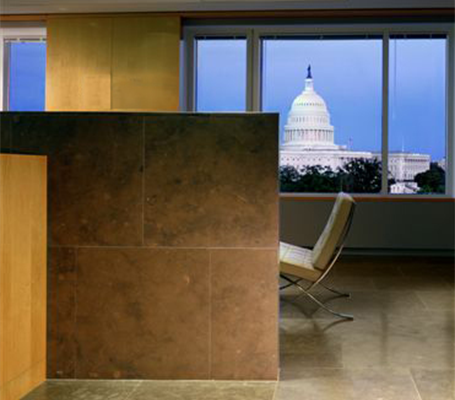 Washington DC Regional Office: New high profile regional office from raw space. 20,000 SF, $2.3M. Toronto Regional Office: New high profile regional office from raw space. 23,000 SF, $5.1M. Atlanta Regional Office: Expansion and complete renovation. 18,000 SF, $2.5M. Boston Regional Office: Consolidation of 53,000 SF, $1.5M. Philadelphia Regional Office: Office renovations and new technology room, 18,000 SF. $1M. New York Office: Trading areas, 9,500 SF, $.8M. Columbus Circle, NY — 5,900 SF, $1.5M. Chrysler Building, NY — 6,200 SF, $2.5M. 1445 3rd Ave, NY — 5,000 SF, $2M. 22 West 32nd Street, NY — 6,000 SF, $2M. Newark, NJ — 5100 SF, 1.5M. No. Plainfield, NJ — 7,300 SF, $1.8M. The Button Factory Lofts, Newark, NJ. We managed from concept to completion the conversion of the 1879 Barrett Brown Building into the Button Factory Lofts in the Ironbound - 16 live/work condos that were sold in 6 months in 2010. Thomas Bish was the project architect. 22,000 SF, $3M. The Ironbound Children’s School, Newark, NJ. New building, 25,000 SF, $3.5M. Lafayette St. Community Center, Newark, NJ. Administered a HUD/City Block grant and construction for renovations, 4,000 SF, $60K. New facility, galleries and offices, Newark, NJ, 8,000 SF, $1M. Administered a HUD/City Block grant and construction for renovations, 4,000 SF, $60K. Administered a HUD/City Block grant and construction for new gallery, 2,700 SF, $60K.